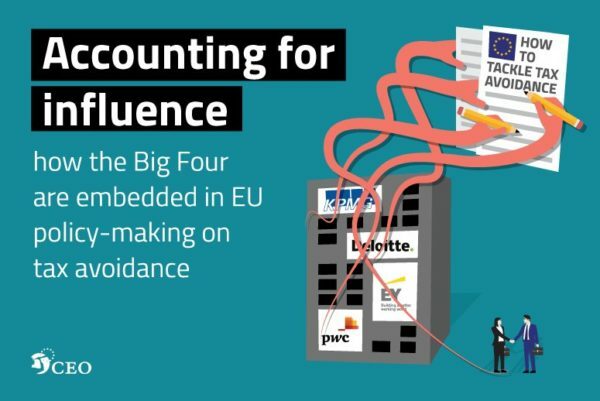 This powerful new study from Corporate Observatory Europe confirms exactly why the Tax Justice Network and many others share grave concerns over the role of the big four in our democracies. The professional services firms enjoy what is effectively a state-backed monopoly in the audit market, and present an entirely false image of themselves as neutral, technical experts – and this has allowed them to exert quite disproportionate influence over governments. Nowhere is this more clearly seen than in the field of multinational tax avoidance. Our research has uncovered a systematic association with greater use of tax havens by their audit clients – but, extraordinarily, the big four have been allowed to lead lobbying against the corporate tax transparency that would reveal these abuses, as if they were somehow objective observers. It is no coincidence that the fingerprints of the big four are so often found on the audits of failed companies like Carillion, or indeed corrupt states. KPMG’s shameful involvement in undermining the South African Revenue Service is but an extreme example. Corporate Observatory Europe’s timely study should ensure politicians everywhere treat any advice from the big four with the scepticism it deserves – especially where it relates to their multinational clients’ tax affairs.